The No. 31 Action Express Racing/Whelen Engineering Cadillac DPi-V.R team of Felipe Nasr, Pipo Derani and Eric Curran has won the 2019 12 Hours of Sebring. Corvette Racing and the No. 3 Corvette C7.R team of Antonio Garcia, Jan Magnussen and Mike Rockenfeller, meanwhile, placed third in the GTLM class. Finishing second overall was the No. 10 Konica Minolta Cadillac DPi-V.R of Renger van der Zande, Matthieu Vaxiviere and Jordan Taylor, which engaged in a close-fought battle with the No. 31 Cadillac in the closing hours of the race. The No. 10 team ultimately couldn’t keep pace with the No. 31 Cadillac, though, which led a race-high 249 of 348 laps. Despite struggling in qualifying, the No. 3 Corvette C7.R team managed to slowly claw its way up the order and was sitting near the front of the GTLM pack by the race’s halfway point. The team pitted twice within the final 80 minutes of the race in an attempt to gain track position, but its plan was thwarted by caution periods. The No. 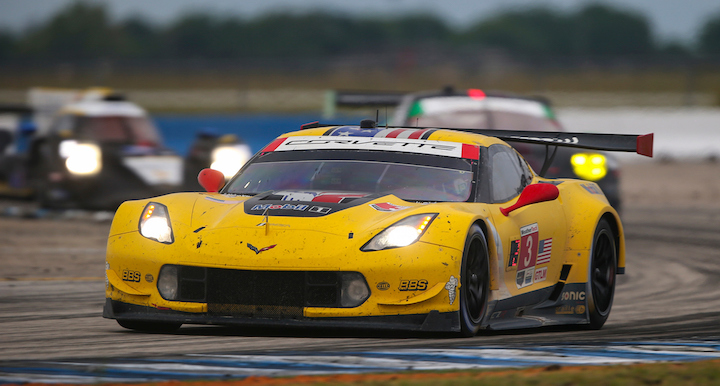 4 Corvette C7.R finished eighth in class after an early-race electrical issue put it several laps down. GTLM was won by the No. 911 Porsche 911 RSR of Nick Tandy, Patrick Pilet and Frederic Makowiecki, with Tandy making a bold late-race move on the No. 66 Ford GT of Joey Hand, Dirk Mueller and Sebastien Bourdais to take victory. The No. 66 finished second in GTLM. A caution flag for a stricken GTD BMW M6 GT3 came out with just 15 minutes to go, essentially turning the 12 hour endurance race into a 10-minute sprint race. Ryan Briscoe spun out from second in the No. 67 Ford GT following the restart, which shared with Richard Westbrook and Scott Dixon, making for a poor result for the car that had dominated the GTLM class for a large portion of the race. In the DPi class, Nasr had to fight to defend from Taylor following the late-race restart, but managed to hold the hard-charging Konica Minolta-sponsored car off to take AXR’s first IMSA win of 2019. 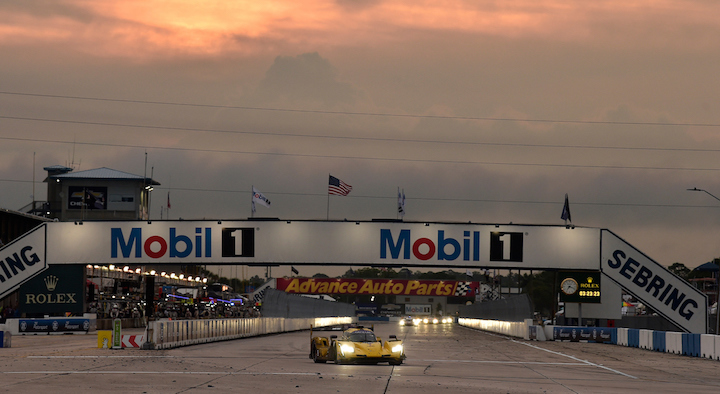 Click here for full results from the 2019 12 Hours of Sebring. What a shame Cadillac, a world class engineering team, can’t build a line of world beating cars and stop making a bunch of overpriced, overweight, badge engineered trucks.